Our book IN MARY’S GARDEN is the story of Wisconsin artist Mary Nohl (1914-2001). We have been working on this book together over ten years, we believe Mary’s story needs to be shared with the world. 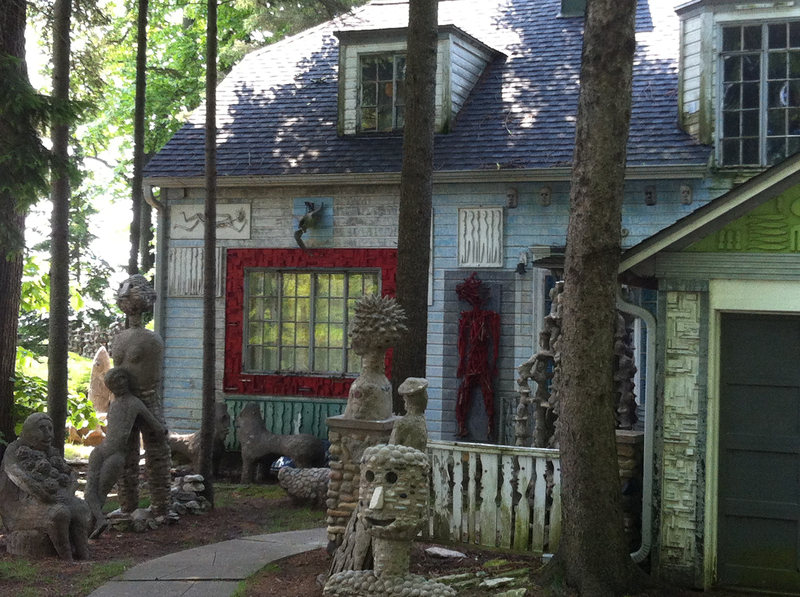 Why isn’t the Village of Fox Point fighting to keep this treasure in their community? Are they unaware of the major cultural significance of Mary’s creation, which has become a beloved touchstone for generations of Milwaukeeans? Is the City of Milwaukee aware of what will be lost? Why are only the voices of these few wealthy neighbors being heard? Also, Mary’s other legacy is the Mary L. Nohl Fund, she gifted the Greater Milwaukee Foundation with $11 MILLION to support the Milwaukee art community. 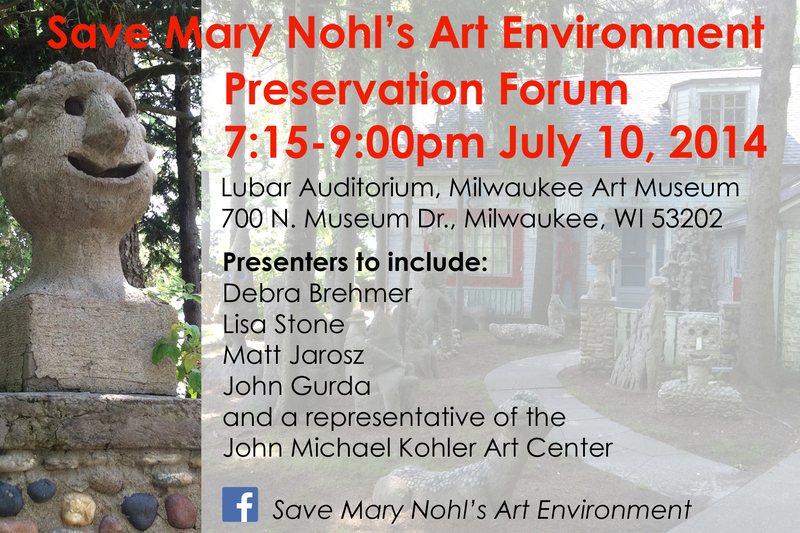 Shouldn’t Mary’s art stay in Milwaukee? We are hopeful a compromise can be reached between the Village of Fox Point and the JMKAC to keep Mary home. Mary Nohl’s art is staying put AND being restored! News! Mary Nohl’s art might not be moving! IN MARY'S GARDEN is now available wherever books are sold!